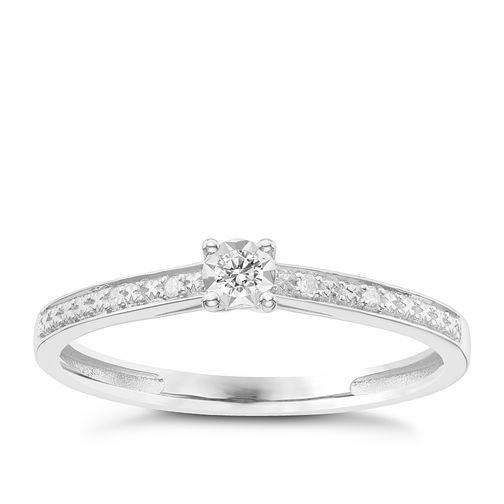 9ct White Gold Diamond Solitaire Ring is rated 4.4 out of 5 by 5. Rated 5 out of 5 by Anonymous from Gorgeous & Elegant I absolutely love my engagement ring. It's so delicate and elegant. All my family & friends have commented how lovely my ring is. Rated 2 out of 5 by Anonymous from Not as expected Ring has a very thin band and looks cheap for the price. Disappointed.